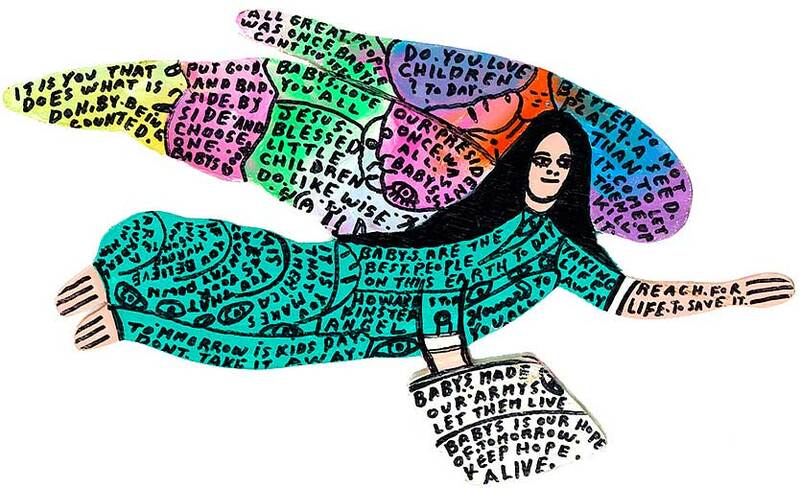 Baby’s Angel by Howard Finster, ca. 1988. O Lord, let me rest the ladder of gratitude against your cross and, mounting up, kiss your feet. Holy is God, who wills to be known and is known by his own. Holy art thou, who art superior to all praises. from the “Hermetic Corpus”, @ 150 A.D.
Are we saved by our good deeds? After Saul returned from fighting the Philistines, he was told that David had gone into the wilderness of En-gedi. So Saul chose 3,000 elite troops from all Israel and went to search for David and his men near the rocks of the wild goats. At the place where the road passes some sheepfolds, Saul went into a cave to relieve himself. But as it happened, David and his men were hiding farther back in that very cave! Then he shouted to Saul, “Why do you listen to the people who say I am trying to harm you? This very day you can see with your own eyes it isn’t true. For the Lord placed you at my mercy back there in the cave. Some of my men told me to kill you, but I spared you. . . . Look, my father, at what I have in my hand. It is a piece of the hem of your robe! We have skipped over chapter 23. It describes David and his small band of men running from Saul while battling Philistines. In this abridged version of Chapter 24, we read about a famous incident, where David comes upon Saul unawares. 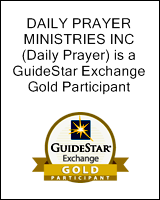 It seems as if God has delivered Saul into David’s hands, but instead of killing Saul—who is actively seeking to kill him—David delivers a Christ-like message. He would rather die than offend God, by slaying the anointed king. 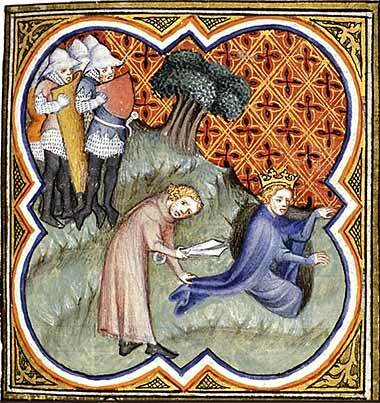 Miniature from Petrus Comestor’s Bible Historiale, 1372.